Persol 3105 "Club Frame" - Black Need Help? Persol reintroduces a classic midcentury design from its famed archive. 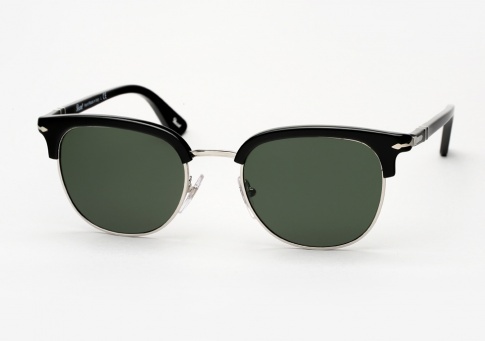 The 3105 is a unisex frame, handmade in Italy and offered here in black acetate with G15(grey green) lenses.